as part of a symposium on the topic. John made some slight updates and revisions for this 2017 appearance. John Lafitte – a descendant of pirate Jean Lafitte -- is the main character in “Pirate Blood.” But he is not the hero. There is no hero in this story, except possibly Frank Adams, who was the hero of the hometown football team at the start of this novelette. But this is not supposed to be a tale of heroes, winners, or people of high community and moral standards, but rather the story of a second banana football player who becomes a second banana pirate. The story, written in 1932, was also something of an experiment. 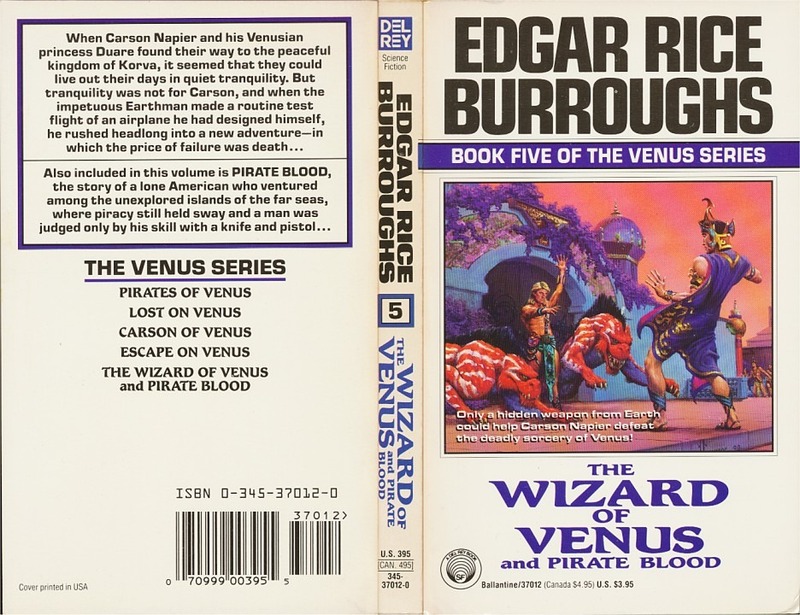 The writer, Edgar Rice Burroughs, was already the famous author of a stable of fine heroic stories of adventure set in exotic locales such as Africa, the inner world, and the unearthly worlds of the moon, Mars and, soon, Venus, and several other worlds in between, some real and some of his own invention. 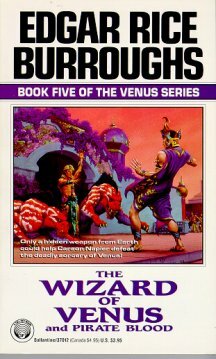 Reportedly, Burroughs wanted to find out if he could write a different type of story and sell it under an assumed name. The story was rejected, and Burroughs locked the manuscript, by “John Tyler McCulloch,” in his safe, the experiment over. 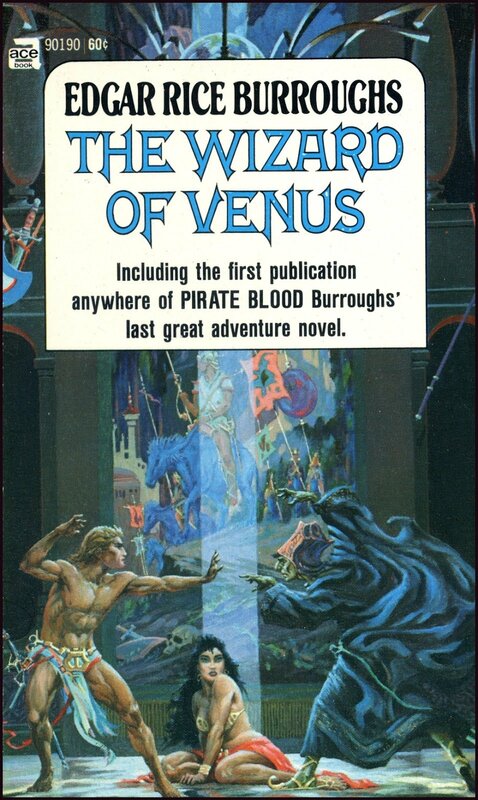 It is possible that, by this time, with such things as on-demand printing available, that someone may have finally published a book which features “Pirate Blood” as the main, or only, story, complete with action-packed cover art. I don’t know if anyone has done that or not and a cursory search of the internet failed to locate one. However, for at least many, many years, it was never the lead or sole story in any hard or softcover publication. So, like its second-banana protagonist, the story itself has been available only in a second-banana status. The story is about blood – not the type of blood shed at the point of pirate swords (although there is plenty of that) – but blood in the sense of heredity. ERB liked to use some of his stories to explore the theme of heredity vs. environment. His Tarzan inherited and displayed the noble characteristics of an English lord, despite being reared in the jungle by a band of wild apes. Noble blood triumphed. Tarzan’s son, Korak, though, inherited his father’s aptitude for jungle skills, despite being raised in the environs of a civilized English estate. The blood of the primal man dominated. There is at least one Burroughs hero who can compare to John Lafitte in the scalawag department. That true hero is Billy Byrne, the title character of “The Mucker,” who could be as intimidating of a baddie as John Lafitte, but with a marked difference: Byrne started out as a brute, a product of his environment, but, sparked by the presence of a decent woman, turned into a genuine good guy, who made up for the bad he had done. Lafitte, by contrast, started out with every advantage: A good town to grow up in, athletic abilities, popularity, and a steady job as a policeman, charged with enforcing the law. Yet, at the first opportunity, he changed sides, becoming a criminal pirate who shed innocent blood and thought nothing of it. One might excuse Lafitte for his initial willingness to become a pirate. Caught by a band of cutthroats when he parachuted onto their island from a damaged blimp, Lafitte’s eagerness to join the band of pirates was probably the only thing that saved his life – at that time. However, with the pirate captain, The Vulture, lying ill, Lafitte makes a life-changing decision. When the other pirates report a motorized schooner has put into the island’s small harbor, he seizes the opportunity to take five men and commandeer the ship. As the attackers board the vessel, they are outnumbered in people, but not in weapons and so, the superior weaponry prevailed. But, with one of the five pirates already shot dead by a yachtsman, Lafitte could have turned with his own weapon and killed a couple of his fellow pirates, thus giving those aboard the ship the opportunity to join him in turning things around. He could have started an action that might have resulted in the pirates being defeated, and thus won his way back to civilization and his police officer’s job. As it is, even though this is fiction, it is unsettling to read of these 12 yachtsmen and their crew who were so summarily and thoughtlessly executed and disposed of. It does, however, give a good picture of what being a pirate really means! Byrne, having earned the right to be second banana to The Vulture, participates in other raids where murder, likewise, is committed. Eventually, due to Lafitte’s interest in the affection of The Vulture’s woman, known as La Diablesa (the devil, the witch), he falls out of favor and is about to be killed when he seizes an opportune moment to abdicate to a rival band of pirates, commanded by a brigand known as the Portuguese. Before long, Lafitte earns his way to second banana status there, as well. He betrays his former crew (no honor among thieves), leading the Portuguese and his men to a successful surprise attack on The Vulture’s island compound. The Portuguese is killed by one of his own men, leaving Lafitte to become, at last, the top banana. But we do not get to read of his exploits as such, for the story comes to a quick end after that. We learn that he winds up in Paris with La Diablese as his wife. And, as a married man, he no doubt reverts to second banana status once more! 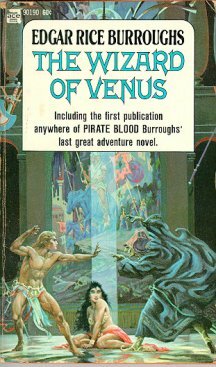 Blood: The story wasn’t only about the blood-line of Lafitte the pirate (our “hero” being descended from pirate Jean Lafitte), but also the blood of Lafitte’s “girl of his dreams,” the hometown beauty named Daisy Juke whom he never had the courage to ask for a date. Her ancestor was said to be the notorious real-life ne’er-do-well Max Juke. Through various circumstances, Dasiy also ends up in a position to be captured by the Portuguese’s pirate band, and comes to an ignominous end. 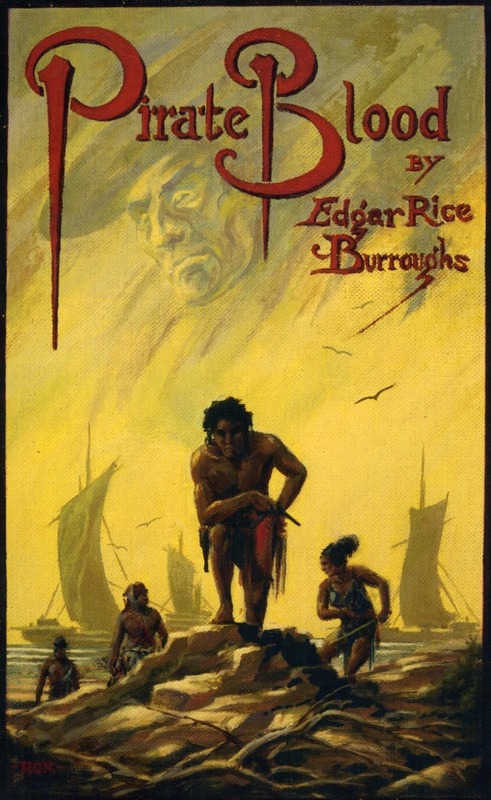 Pacing: The first half of “Pirate Blood” is too long; the second half is too short. 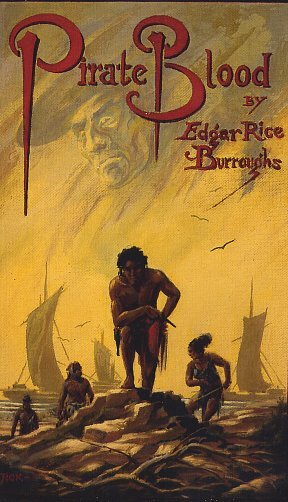 Yes, it is true that ERB had to come up with a plausible way of getting John Lafitte from Southern California to a pirate island thousands of miles across the Pacific, but why did that ill-fated balloon ride have to take five chapters? Fewer would have been better. Or, perhaps ERB should have sent him on a short ride to the southeast, where he could have ended up as a Pirate of the Caribbean like his infamous ancestor! Still, there were some edge-of-seat moments that showed up in those chapters, particularly the part that had Lafitte barely hanging on, leaning out of the gondola, undoing stubborn bolts to try to drop the useless motor so the overburdened airship would rise. “I thought I would swear, but as there was no one to hear me, it didn’t seem worth the effort. It is remarkable how many of our reactions are dependent upon an audience.” – Chapter 6, while dealing with the foundering blimp. “Her figure was divine. The combination may best be described as body by Fischer, bearings by Timkim.” – Chapter 8, a description of La Diablesa. they might not live to bemoan their losses or suffer the deprivations and reproaches of poverty. In my own way, I too am a philanthropist and a benefactor of the human race.” – Chapter 10, a sardonic putdown of worldly do-gooders in an attempt to justify one’s wrongful actions. “The test of true friendship is the secret sacrifice that one would make for a friend where no reciprocation of any applause were possible.” – Chapter 13, while musing on the company he keeps.